SANDY SPRINGS, Georgia — Californians tried to BUY a GA election by colluding with Democrats. More than 7000 donors from the Golden State poured over $23M into the election to buy votes. All of Hollywood got involved with the collusion efforts to subvert the election that was 3000 miles away and none of their business. Republican Karen Handel won “handely” over Democrat Jon Ossoff in the special election in Georgia’s 6th congressional district — the most expensive House race in history. Handel easily wins her bid to replace Health and Human Services Secretary Tom Price, who held the seat before joining President Donald Trump’s Cabinet. 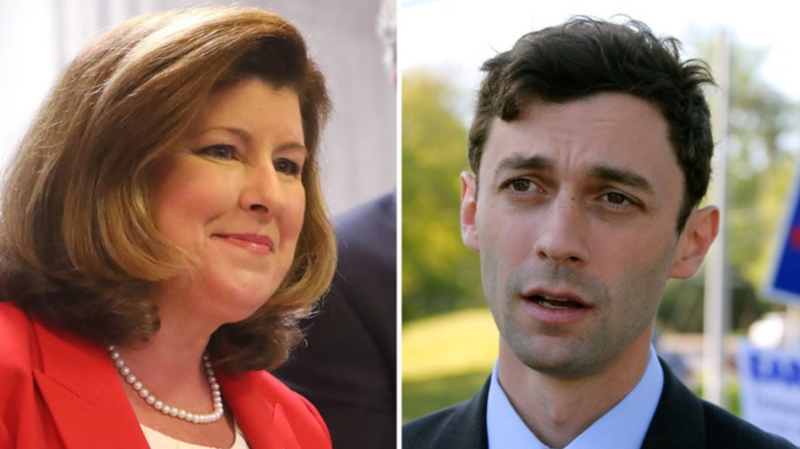 Handel wins 52 percent; Ossoff got 48 percent of the votes. Rarely, if ever, has a single congressional race attracted this much attention from Democrats who keep losing election after election after election since 2010. It is certainly a mandate, Democrats are cooked!